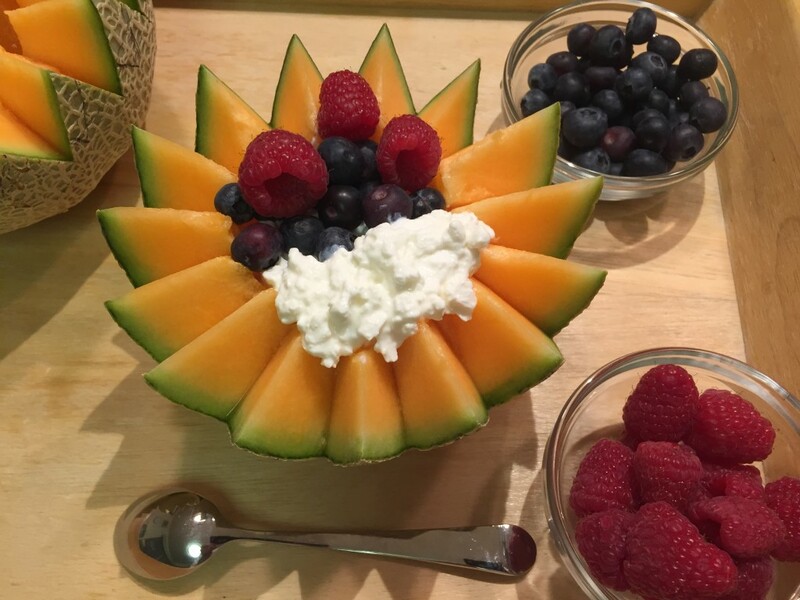 Treat yourself to a delicious cantaloupe basket filed with cottage cheese and berries. Perfect meal to start your day! 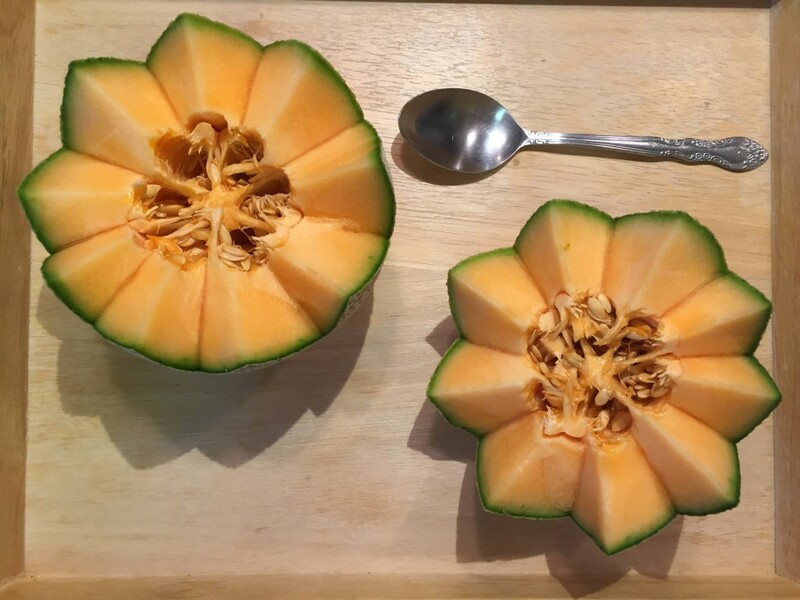 To make the basket use nontoxic marker and draw a zigzag pattern on the melon, then cut deeply into the fruit pattern. 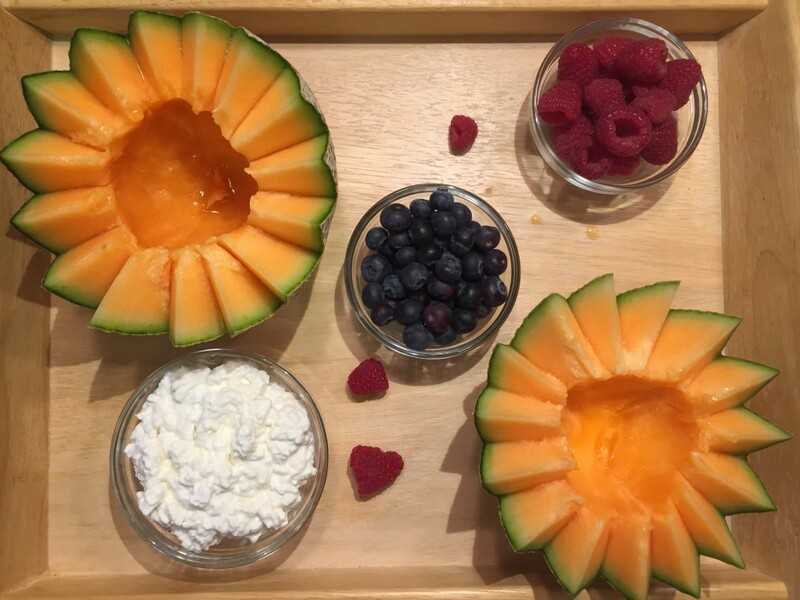 Separate the halves, take out the seeds, and fill with cottage cheese and fruit. 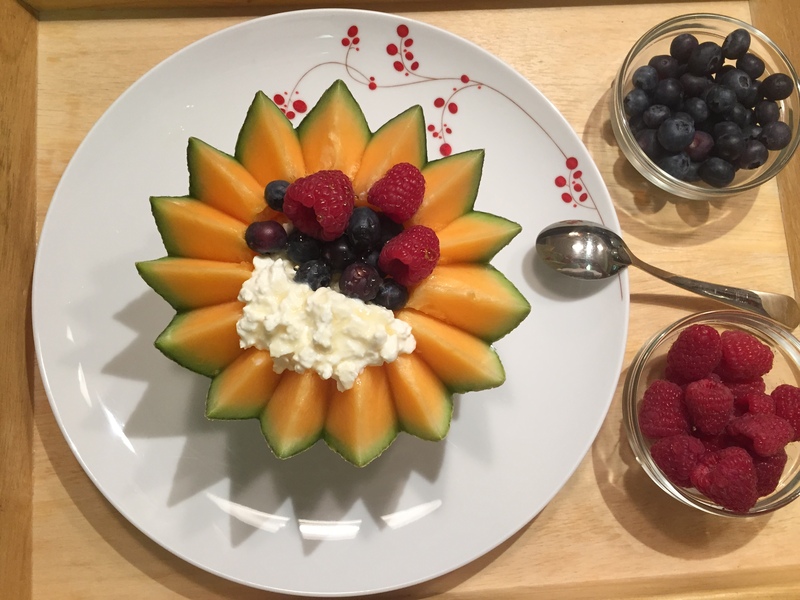 If you don’t have time to make the melon basket you can serve the cottage cheese on a platter with fruits and crackers on the side. 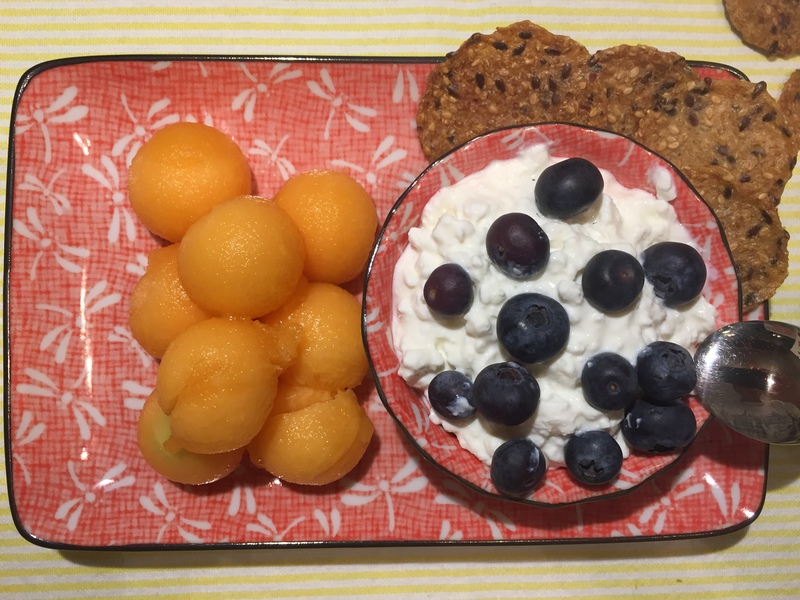 Easy to make, delicious, and healthy!